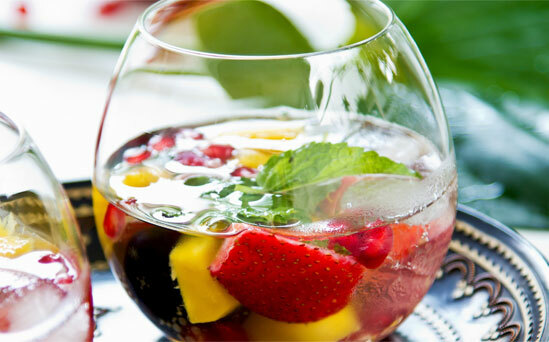 The original sangria recipe was born in Spain, far from the topaz blue waters of the Caribbean or the South Pacific. Still, like the old Spanish explorers, the traditional recipe has made its way around the world, mingling with the local cultures and flavors. This sangria recipe combines it all into one cyclone of a punch cocktail. Remember, sangria has no rules. Everything! 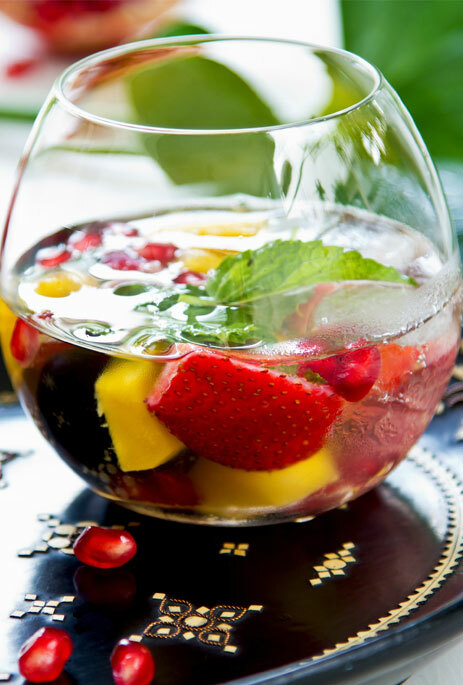 Seriously, this recipe proves just how loose sangria can get. Add some coconut rum for an extra tropical infusion. Use your imagination, and leave your measuring cups in the drawer. As with most sangria, the instructions are simple. Start with a great big pitcher. 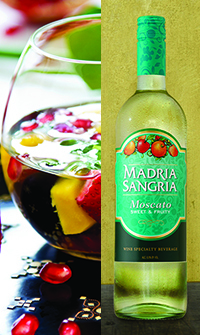 Then throw in the bottle of Madria Sangria Moscato. Add all the fruit and the sugar. Give it a stir until the sugar dissolves. And if time permits, let it all sit in the fridge for a few hours so the flavors can get acquainted. Serve in sweet glasses, and try and make it look good!